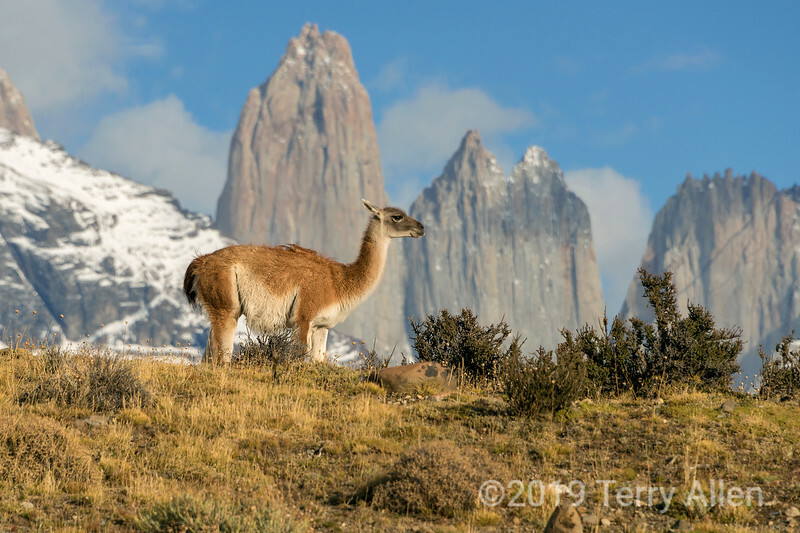 A guanaco (Lama guanicoe) stands on a ridge with the granite spires of the Torres del Paine in the background. Thanks Ivanan, glad you like it! Wonderful view of the landscape with the guanaco--I'd never heard of it before. Wonderful landscape with this lama. Exceptional shot Terry! I love the pose in front of the peaks.